Do you ever find yourself trapped in a work meeting with nothing to contribute? Well, friend, your troubles are over. 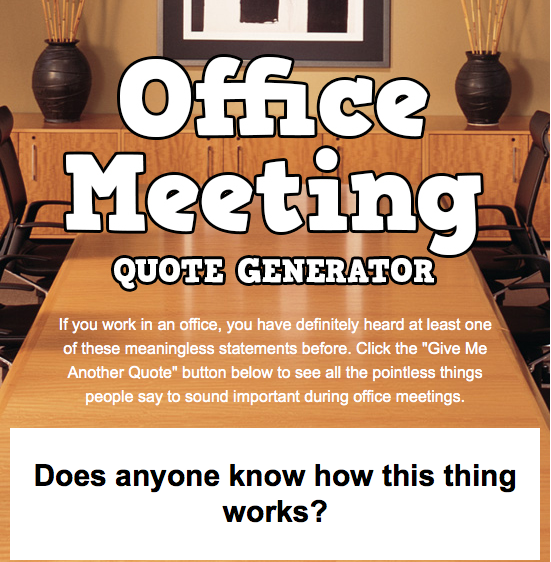 With the Office Meeting Quote Generator, you'll have dozens of useless, empty phrases at your fingertips - ready to deploy at a moment's notice. Hell - you might even get promoted!